Are kid parties and birthdays one of your target customers? 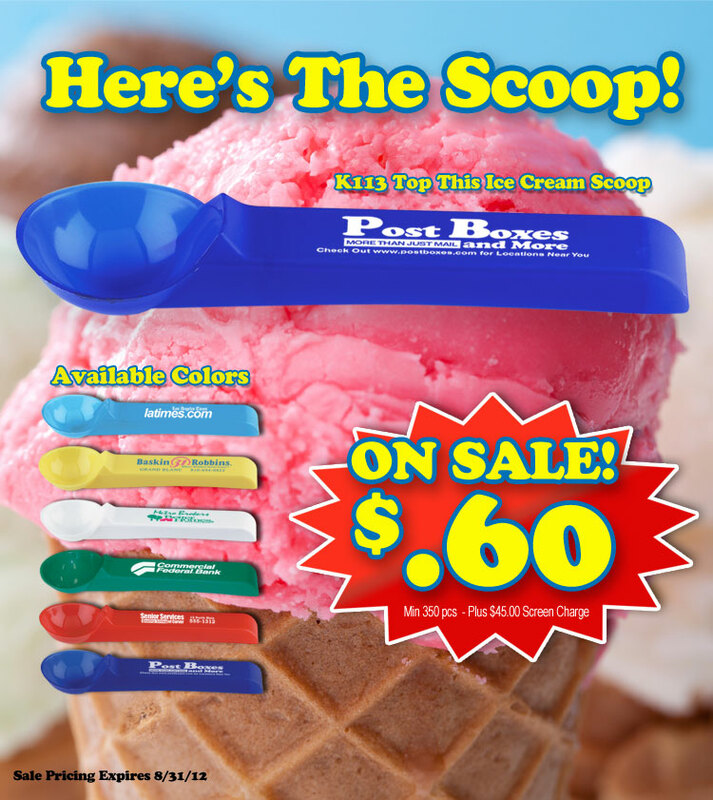 This affordable ice cream scoop makes a good giveaway for kid friendly and family oriented businesses. 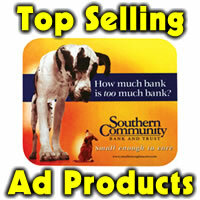 Big imprint area, the user will see your business name or logo each time they use it. Deep-dip design with a safe, non-slip, textured handle, molded in tough, dishwasher-safe, polypropylene material. Colorful, available in 6 colors, red, white, yellow, green, azure blue and deep blue, there is a color for almost every reason or season. Good to hand out at festivals, parades, public events to get and keep their attention. Good for gravy or mashed potatoes when not being used for ice cream. A great giveaway if you want something to give to the birthday mom or set at place settings at an event or hand out at a tradeshow. Imprint area is 3/4″ x 3-18″. On sale through 8-31-12 at 60 cents, 350 min. Set up is 45.00.